What Does Hendrick Toyota Concord Do with Your Personal Information? All financial companies need to share customers’ personal information to run their everyday business. In the section below, we list the reasons financial companies can share their customer’s personal information; the reasons Toyota Concord chooses to share; and whether you can limit this sharing. 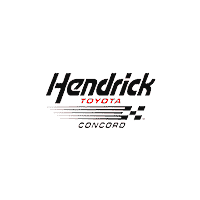 Does Hendrick Toyota Concord share? Call 704-979-7700 at Hendrick Toyota Concord and ask to speak with the Safeguards Coordinator. How does Hendrick Toyota Concord protect my personal information? How does Hendrick Toyota Concord collect my personal information?